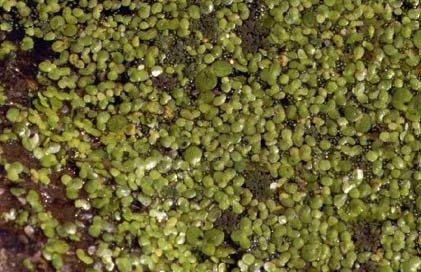 Very small floating aquatic plants that often form dense mats over large areas of the water surface. The duckweeds are free-floating and do not have stems or typical leaves. Flattened, round to elliptic in shape, reaching 1/8 inch long and 1/10 inch wide. Each leaf or frond has 1 root that dangles below the water surface. Very small and inconspicuous, rarely seen. 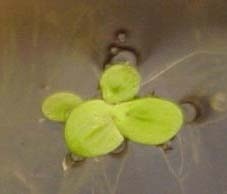 Very small floating aquatic plants with a single small root dangling below. 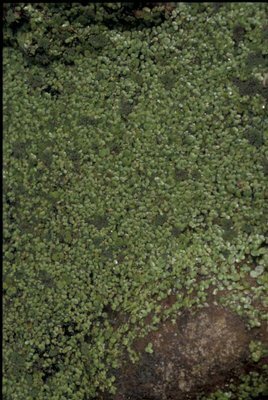 The giant duckweeds (Spirodela spp.) are similar to these species but have 2 or more roots emerging from each frond and usually have at least one purple or red dot on the frond. 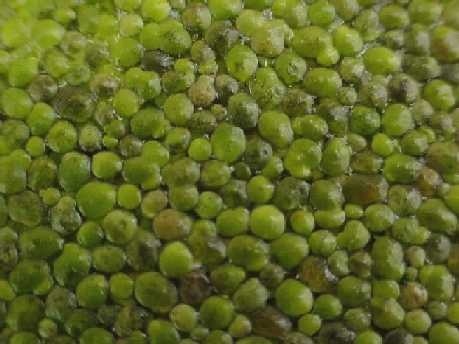 Watermeal (Wolffia spp.) is also similar in appearance to the duckweeds but is generally much smaller and also does not have roots dangling below.